Many times when I get home from work, I find myself standing in front of the pantry or refrigerator trying to decide what to make for dinner. I try to plan for what meals to make while I’m at the grocery store, but I don’t always have time to think it all through. And when I don’t do that, I end up having an idea to make a certain dish only to find that I don’t have all the ingredients, or even more common, I just throw random things together and hope for the best. Most of the time my experiments turn out pretty well, but wouldn’t it be nice if you could take the hassle out of meal planning and cooking? If your answer is yes, then you should definitely check out Fresh Artistry! A small Indianapolis-based company, Fresh Artistry focuses on helping the home cook feel and look like a master chef, with none of the hassle or skill required. How do they do that, you ask? 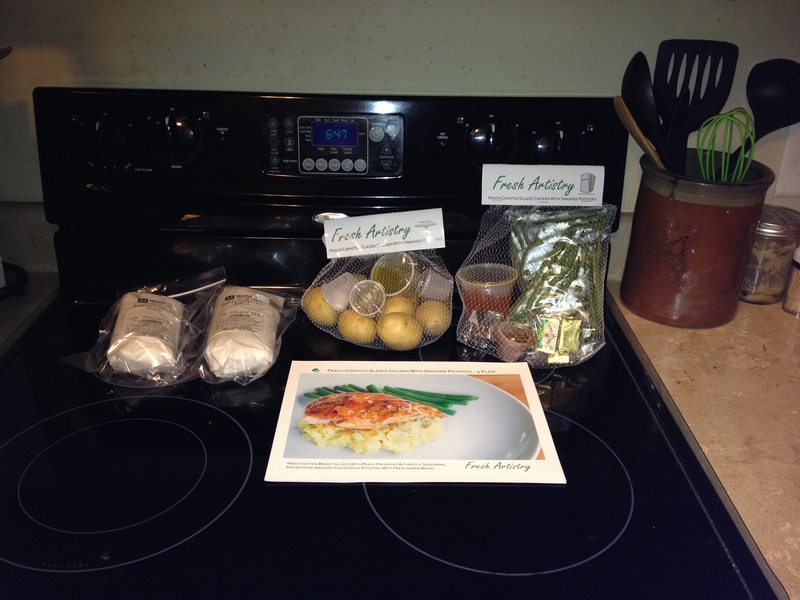 You pick the recipes you want to make for that week, and they send the ingredients and recipes straight to your doorstep! That seems really simple, but Fresh Artistry goes above and beyond to provide you with a quality service. In each box you receive local meat, fresh produce, and all the spices and ingredients you will need to complete the dish – with all the guess work taken out of it. All ingredients come pre-portioned and prepped so all you have to do is combine and cook. I first learned about Fresh Artistry from fellow Indy blogger, Sara, at Solid Gold Eats and I was so intrigued! 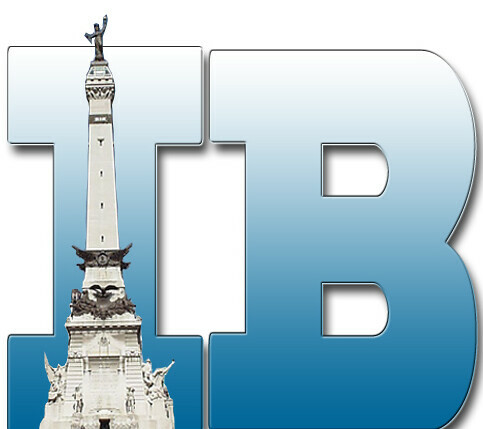 They began by serving the Central Indiana area, and are now providing their service to the whole state of Indiana starting on Friday, December 5, 2014! Founder, Tom Blessing, and the Fresh Artistry crew are all about making a quality experience for their customer, so before their big launch, they sent a few of us bloggers a meal to test out for ourselves and provide them with feedback on what we thought. I had never used a food delivery service before so I was excited to try it out. And right from the time it arrived at my doorstep I was impressed! They send their meals in an insulated box with a custom liner that has enough insulation to last a night on your porch if you aren’t home when it arrives. And when you’re done with the box, you can send it back for them to recycle and use again! With their new launch, they’re coming out with a feature where you can print off a return postage label to send back your box, box liners, and freezer gel packs. They will then clean/sanitize them, and reuse them. It reduces their landfill footprint, saves you storage space, and saves them money. Win, win, win, right? 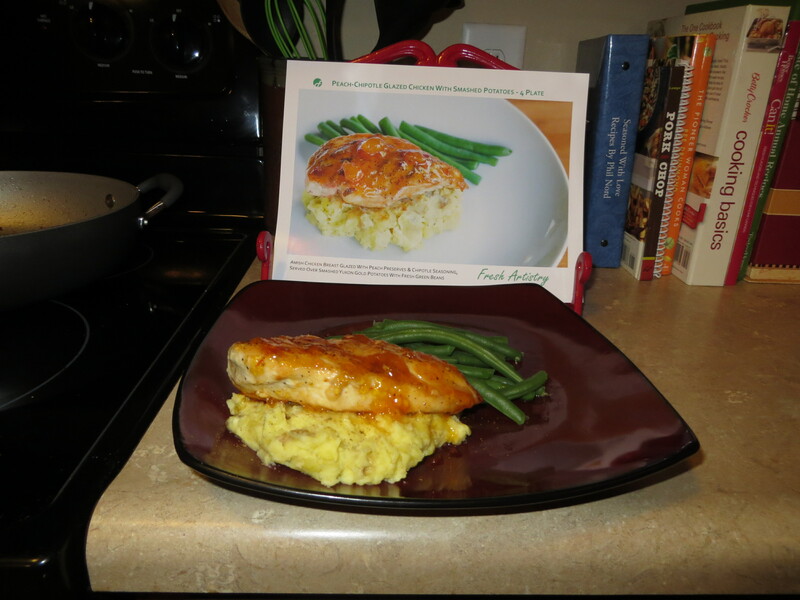 The recipe I got to make was Peach-Chipotle Glazed Chicken with Smashed Potatoes and Green Beans. Besides turning out absolutely delicious, here are some other neat things I learned while making the meal. 1. They literally do take the guess work out of everything, all the way down to storing and keeping track of your ingredients! For each recipe, they separate out the ingredients that are best stored on the counter or pantry, and what should go in the refrigerator, and place them in neat and simple bags with the corresponding recipe on the label so you can’t get things mixed up. 2. 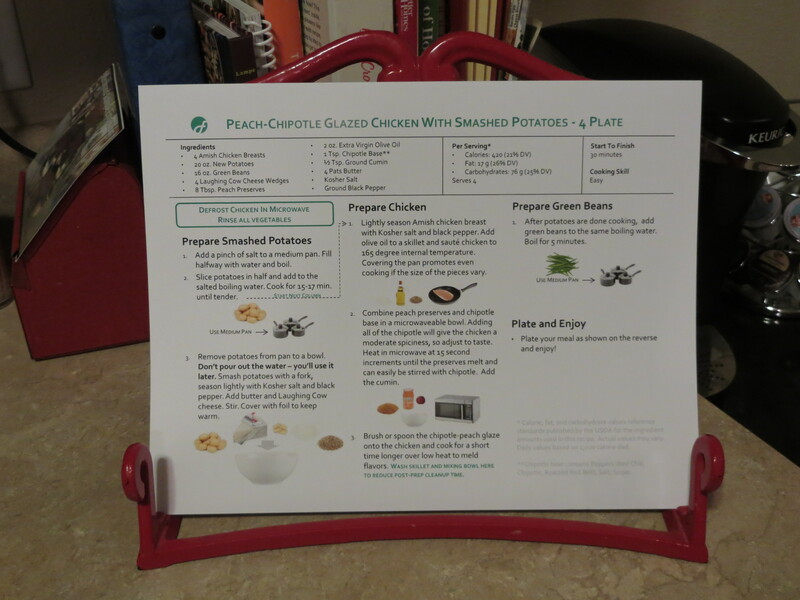 The ingredient guides and recipe cards are neatly designed and super easy to follow! 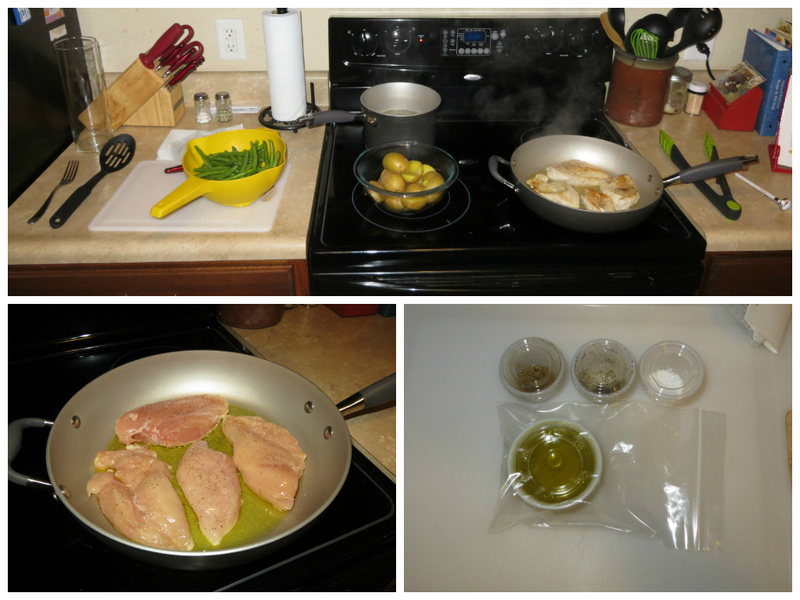 They provide cooking and time saving tips to keep all of their recipes to about 30 minutes start to finish. They even go so far as to lay out what size pans and bowls to use! 3. They truly do care about what you think and listen to your suggestions on how they can make their service the best that they can be. While I was making my recipe, I wrote down a few small notes on their cooking instructions and portions of their seasoning and Tom appreciated my comments and sent them to his team to work on. I really appreciated that the staff took my suggestions to heart! The plans are broken up into 4-plate meals and 2-plate meals, depending on your size of household, and you can choose the menu each week. And with each plan, there are no delivery costs! One other unique thing they do is make sure you have the flexibility to fit your lifestyle. If you know you won’t be home a certain week, or aren’t able to make the weekly commitment at any point, you can easily pause, cancel, and restart your service at any time! Just log-on to your account on their website and adjust your settings. I would say that looks restaurant-worthy, don’t you? Thanks Tom and team for letting me try it out! Overall, I really like the business model that Fresh Artistry has and the food was delicious! 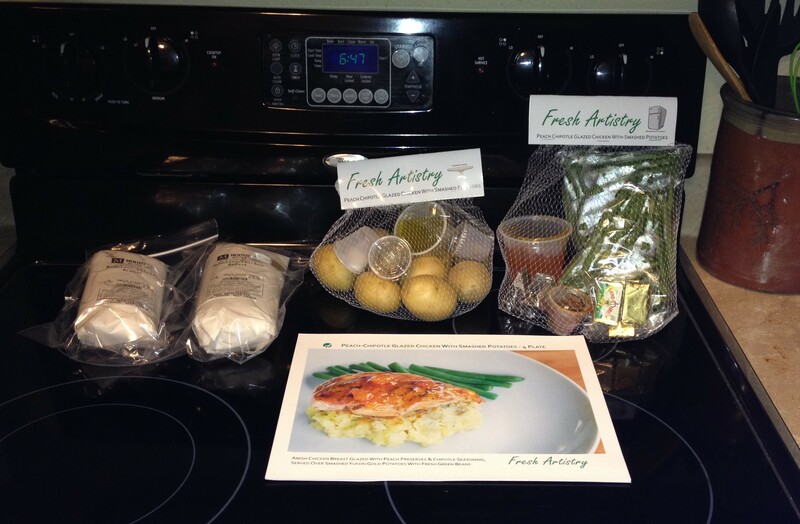 I think Fresh Artistry could also be a great gift for that foodie in your life, recent college grad starting out on their own, or even parents or grandparents who may not have as easy of a time shopping for themselves. Want to try Fresh Artistry out for yourself? With their launch, they are rolling out a 1-box purchase opportunity for a limited time that’s not attached to a plan. Food is an experience and they want people to experience their meals! With Christmas gatherings coming up, this could be a perfect chance to give them a try. Your guests will definitely be impressed! So head on over to their website and check it out. While you’re there you can also learn more about their menu options, plan details, and more info about the service. And don’t forget to like them on Facebook and follow them on Twitter for their latest updates and blog posts! If you do decide to give Fresh Artistry a try, or have used them before, I’d love to know what you think! Hope you like their food as much as I did! 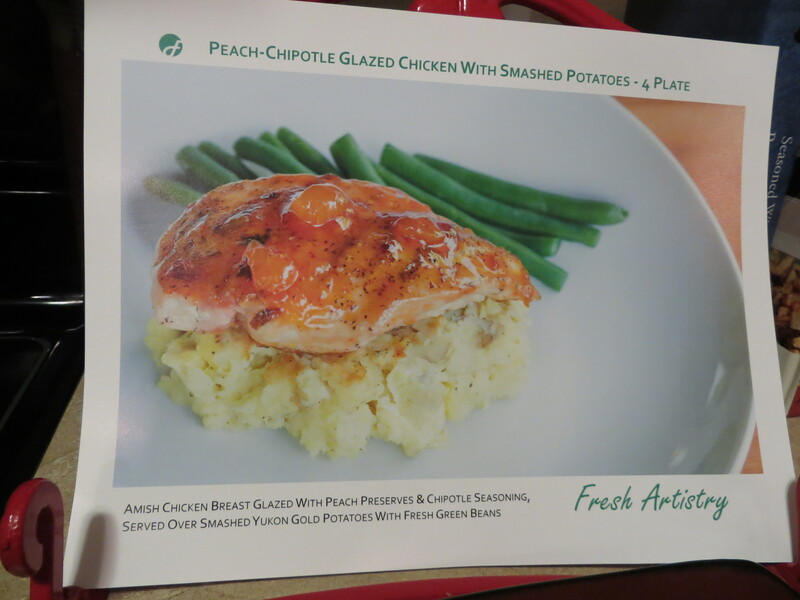 Posted on December 3, 2014, in Indy Adventures, Recipes and tagged Fresh Artistry, Fresh Artistry Indianapolis, Fresh Food, Indiana businesses, Indianapolis Food, ingredients, Moodys Butcher Shop, Peach Chipotle Glazed Chicken with Smashed Potatoes, Tom Blessing. Bookmark the permalink. Leave a comment.